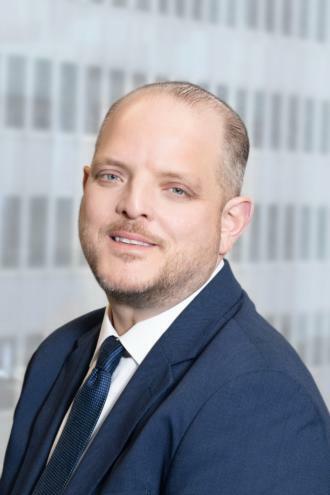 Brian Y. Epstein joined Belkin Burden Wenig & Goldman, LLP as an Associate in 2004 and became a Partner in 2009, having first practiced in Bronx County from 1999 through 2004. Mr. Epstein specializes in real estate litigation for a diverse roster of real estate clients, finding effective solutions to complex real estate problems. Mr. Epstein earned his Juris Doctor from New York Law School and a Bachelor of Arts degree in Political Science, History and Sociology from Case Western Reserve University. He was admitted to the New York State Bar in 1999. Mr. Epstein appears regularly in both the Residential and Commercial Parts of the New York County Housing Court, handling residential and commercial holdover and nonpayment proceedings while concentrating on complex residential and commercial real estate disputes. Mr. Epstein routinely handles a wide variety of matters including proceedings involving non-primary residence, nuisance, breach of lease obligations, lease expirations and violations of the Pet Law. Mr. Epstein is responsible for all aspects of such proceedings, from the drafting of predicate notices and pleadings through settlement or trial. Mr. Epstein also has extensive experience and expertise in Supreme Court litigation. Mr. Epstein previously served as a member of the Housing Court Committee of the New York City Bar Association and has been a guest lecturer before the New York City Bar Association.